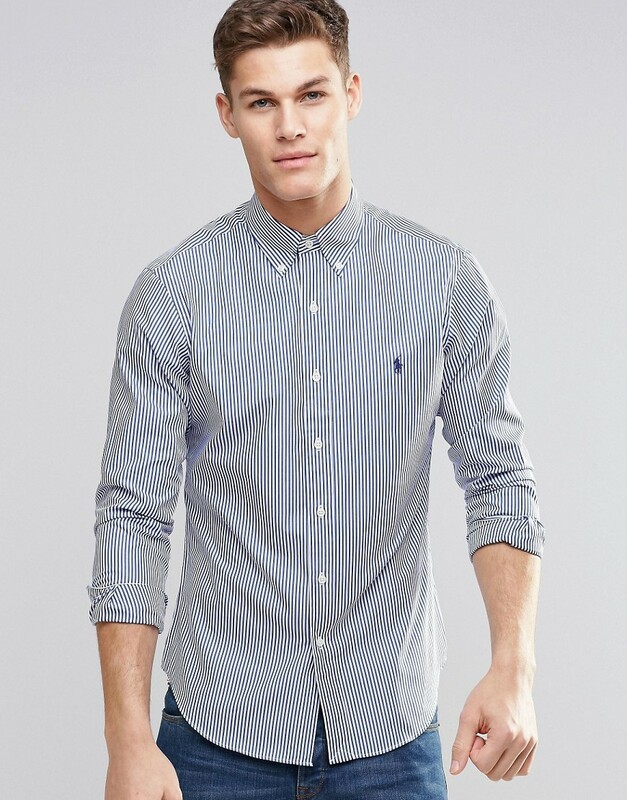 Shirt by polo ralph lauren, soft-touch woven fabric, button-down collar, button placket, embroidered logo, slim fit - cut closely to the body, machine wash, 100% cotton, our model wears a size medium and is 193cm/64 tall, open with care � product may be pinned. Naming his brand after a game that embodies classic style, ralph lauren created polo ralph lauren in 1967 initially selling mens ties. Interested in longevity, timelessness and style, polo ralph lauren has since grown into a complete collection of preppy polo shirts and accessories with a rich history of design.